As Investment Manager of DOEN Participaties BV, Michelle has profound insight in the world of impact investing. 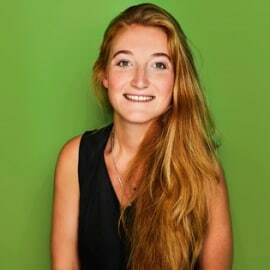 She developed her interest for sustainable entrepreneurship and responsible investments during her master Business Studies at the University of Amsterdam. After graduating Michelle joined DOEN’s Equity team as a Business Analyst and became an Investment Manager after three years. Since 2016 she is responsible for part of DOEN’s Equity portfolio. In 2016 she has spent half a year in Bangalore, India, to work with SELCO Solar in the off-grid energy space. This experience helps her to understand the opportunities and challenges that entrepreneurs face while operating in difficult environments.